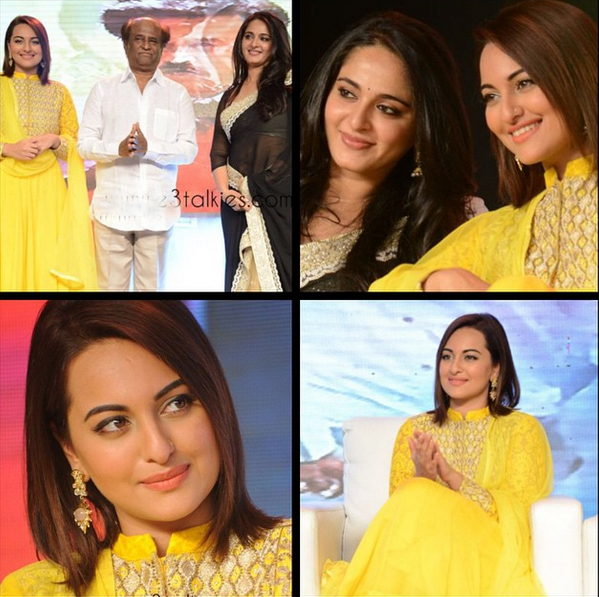 Sonakshi Sinha was in Hyderabad today at the Lingaa audio success meet. She, Rajnikanth and Anushka Shetty were seen together. 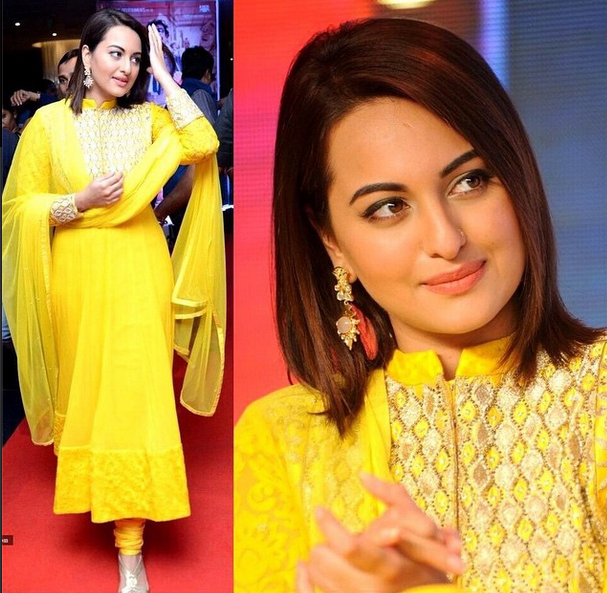 Sonakshi is wearing Anita Dongre suit and a pair of pinkcity by Anita Dongre earrings. We really liked her subtle makeup and hair. She looks fresh and radiant. In another outfit in Hyderabad, she wore Bhumika Sharma jacket and earrings from Sapphire. What we did not like was the choice for thong slippers, which are a dampener. A different footwear would have escalated the look.